Bachelor’s degree in History by Autonomous University of Barcelona (UAB) and Doctor in History, his thesis focused on Nelson Mandela figure and the civil rights, named The National African Congress, the opposition’s movement Fenix. He worked as a Professor in universities and research centres in Catalunya as if around the World: Pompeu Fabra University, Autonomous University of Barcelona, Rovira I Virgili University, Barcelona Centre for International Affairs (CIDOB), University of Chicago, University of London, University of Ibadan (Nigèria), University of Wiwatersrand (Sud-Àfrica) and Hood College (Washington). He also chaired the African Studies Centre (AEGIS between 1991-1999). He has taken part in multiple international events and conferences: Conference Eurocities-Eurobusiness, Mediterranean Cities, Metropolis World Congress, Rio de Janeiro bid for the Olympic Games on 2004, etc. He was involved in the organization of the Barcelona Olympic Games in 1992 for ten years, since 1984 to 1993. He was particularly involved in responsibilities related with the previous bid for Barcelona as the Olympic headquarter, and in the Barcelona Olympic Organization Committee (COOB). He was responsible of linguistic policy during the Olympic Games – with Catalan as one of the official language-, Director of Dissemination and General Secretary of the Operational Committee of the Olympic Games in Barcelona. Columnist for numerous newspapers, he has worked as a worldwide correspondent for 20 different countries: South Africa, Brazil, Lebanon, Syria, Israel, West Bank, Jordan, Mexico, Panama, Indochina, Sri Lanka, India, Filipinas, Vietnam, Egypt, Iran o Bosnia. As a writer, he has published 17 different printings – among novels and essays- covering a range of topics, from African reality to the Europe debate and the Catalan society and history of Catalonia. He has been prised with some of the Catalan literature prominent distinctions: Joan Fuster (1996), Sant Jordi (1997), Néstor Luján (2000), Ramon Llull (2004) and Prudenci Bertrana (2006). 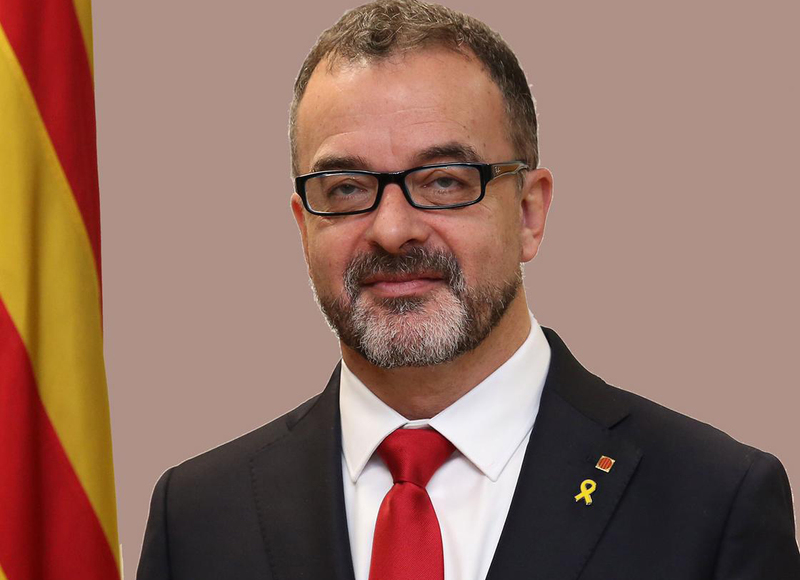 From a civic political perspective, he has been the chairperson of the Barcelona Decideix poll (2001), foundational member of the National Catalan Assembly Secretary (2011) and member of the Omnium Cultural Council (2011). In terms of institutional policy, he worked as a Councillor-President of the local group of ERC at the Barcelona City hole (2015-2018); Vice-President of the Barcelona Metropolitan Area as a responsible of International Affairs and Cooperation (2015-2018); and Representative-President of the local parliamentary group of ERC at the Spanish Government (2011-2014). Enthusiastic of languages, a part from Catalan and Castilian, he masters English, French and Portuguese and speaks German and Italian.